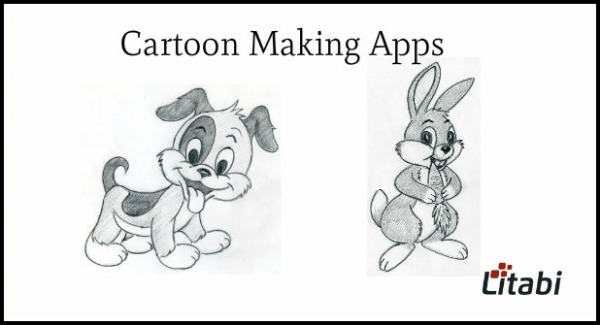 If you want to install the best cartoon maker app on your phone, then this article would help you choose the exact one to make your own cartoon character. One way or the another everybody loves Cartoons. From a small 2-yr-old kid to 70-year-old grandpa, cartoons have been one of the superlative ways to have fun or to defeat boredom. Except for all these aspects, they can be helpful for artists as well, their vibrant colors and freedom to create new things will eventually increase your potential in terms of creativity and color management/matching skills. Or simply, you can use cartoons to create memes. So, What I actually tried to convey in the above passage is that there are several reasons why anyone could have been seeking for the ways to create cartoons. Thus, if you are here for any of those reasons or another, you landed on the right place. Using current apps, you can make those amazing cartoons just by few clicks and swipes on your smartphone itself. Those days are gone, where anyone should have a PC to create cartoons or comic characters. But, if you still looking for the best cartoon making software, you can get and use to create a cartoon of yourself. There are several apps out there to do the job. Let’s discuss the tools and hence you can choose the best comic maker app to show off your creative skills. The below-listed tools are all apps and not software, so you can run these apps on any Android device. There is no specific reason why I kept it in the first place, I just thought it would be great if we get started with my favorite app. MomentCam is the perfect cartoon maker app to create funny cartoons out of your photo. This app converts your picture into a cartoon with ease. It’s not only a cartoon app but furthermore, you can utilize it as photo editor as well. You can still modify the background and facial expression of your cartoon character. The backgrounds are available on event basis also, so in case if you decided to throw a birthday party or wish your buddy on his birthday, then you can use this app and make your own comic. Bitsrtips has been yet another great cartoon app available for free on Google play store. This app not only makes yourself look like the cartoon character, however instead, you can express the thoughts or words through your cartoon character by adding the speech bubble to it, which apparently gives a comic story look. This cartoon maker app android has got thousands of backgrounds and customizable scenes into it, you can choose anyone according to your needs or you always have an option to add your own background. FaceQ creates avatar within few simple steps. This app permits you to create cartoon avatars using plenty of built-in expressions and parts of the face. You don’t necessarily need to possess any particular drawing skills to create cartoons, all you need is imagination, and must be aware of which part fits best to specific face shapes. This cartoon character maker app comes with several types of face parts such as the nose, mustache, mouth, hair style, so on. All these parts are available in different style and sizes, you can make use of them to create your own cartoons. You’ll be able to conjointly write text on the cartoon to make it more interactive. All I can say is, this app is a time killer, and you will get addicted to it in no time. It is available as both paid and free versions, but we recommend you to go with the paid one as it doesn’t cost you more than a dollar. In return, you get more than the money spent, because it’s not just a cartoon face maker or cartoon character maker, instead, you create your own cartoon videos. There is no need of drawing every frame of the cartoon video, you can use your fingertips to slide/move or scale the cartoon characters as per your desire. You can import images/characters from your local phone gallery to the Poppy Toons Pro app. As you move or make new actions, the app records all your actions and produce cartoon video out of it, or you can say animated video. You can then share those videos directly on Facebook, YouTube, and other social media. Who knows, you could end up being a filmmaker after using this app xD, haha. The free version of the cartoon creating app has limitations on duration of the video, whereas paid one provides you full freedom to create lengthy videos while not compromising for the time. Some other benefit you bring on paid version is that you will finally get rid of the ugly looking watermark from your pictures. Last, but not the least, ads will be disabled on paid version, you can enjoy the app without irritating ads. 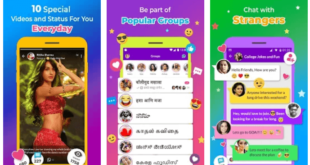 It is moreover a social network specially made for cartoons, where people from all over the world create and share their cartoons with other users. There will be weekly contests where you can present your own create cartoon the leader board, and the one who gets most likes will be the winner of that competition. You can pick out and add stickers, effects, different colors or blur effects to your cartoon faces. Along with cartoon creating tool, you will get full-fledged photo editing options to tweak, such as altering lighting, orientation, frames etc. To fulfill your enjoyment level to the max, the app lets you draw, sketch and doodle frame our cartoons as well. Cartoons not only dishes up for comic stories, or movies, they sustain a significant effect on other manufacturers as well. As an example, schools nowadays using cartoon character and cartoon videos to teach children having fun along the way. Even, scientifically it’s proven that cartoon plays the major effect on the mind, and that’s the reason why advertisements or television commercials make use of them in a better way to get more sales. Few people use them to edit pics, and have fun with their best buddy’s picture by adding silly cartoons to it. I hope you enjoyed this post about the cartoon maker app. Do let me know in the comments about other best cartoon making apps, that I might have missed here. Also, let me know your experience on the above-mentioned apps.